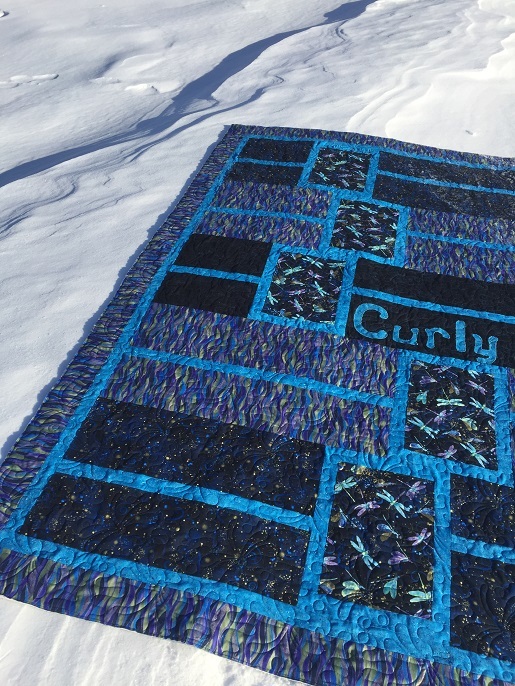 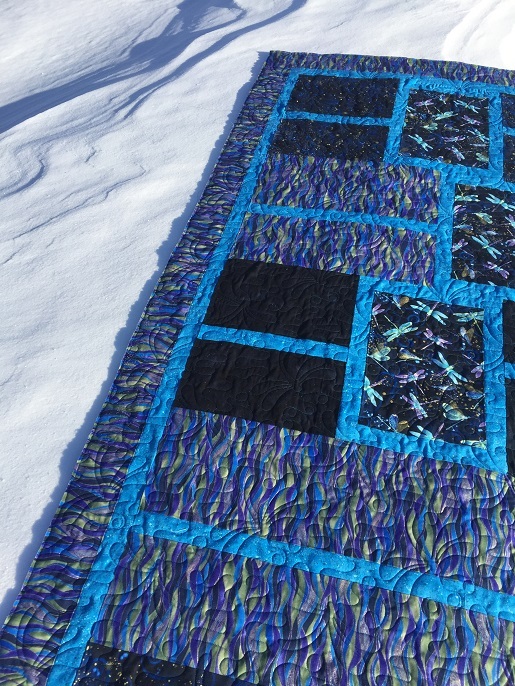 This is Barb's Boxtrot quilt which is a pattern by Creative Sewlutions. 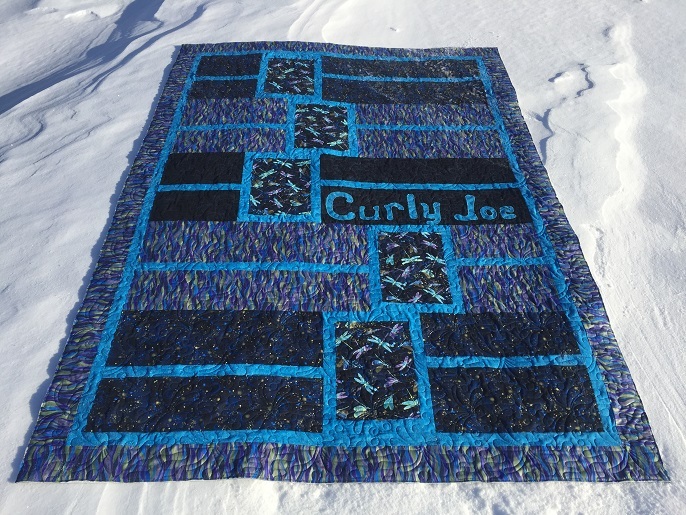 She made this quilt for her granddaughter and adapted the pattern to add her granddaughters nickname onto it. 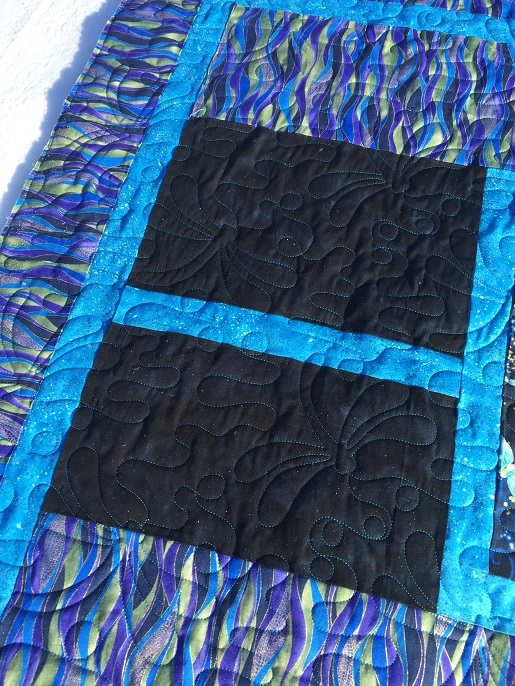 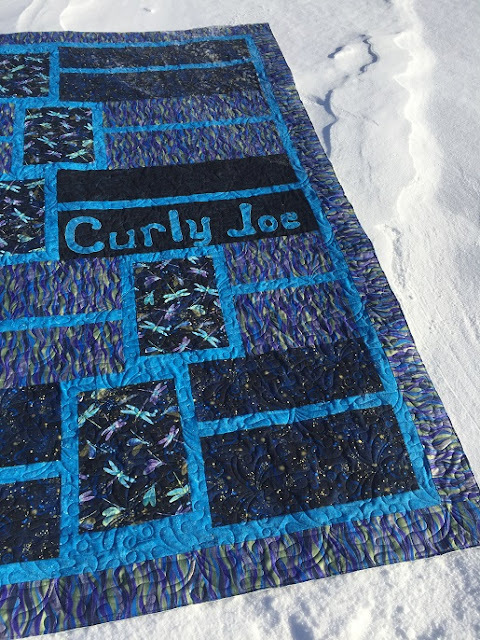 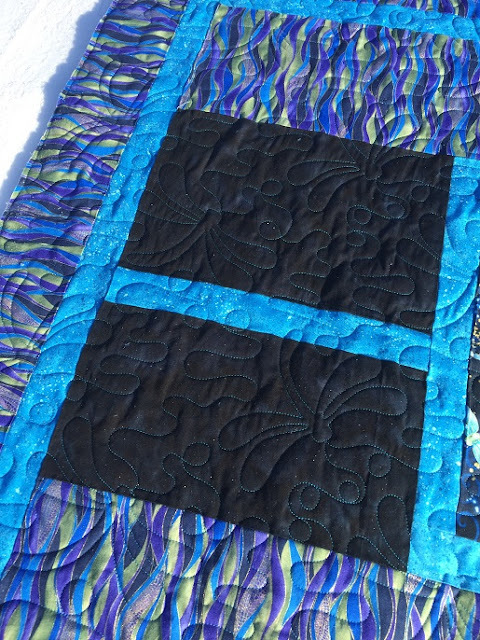 She used pretty dragonfly fabrics so I quilted it with the Dragonfly Pond pantograph using teal So Fine thread. 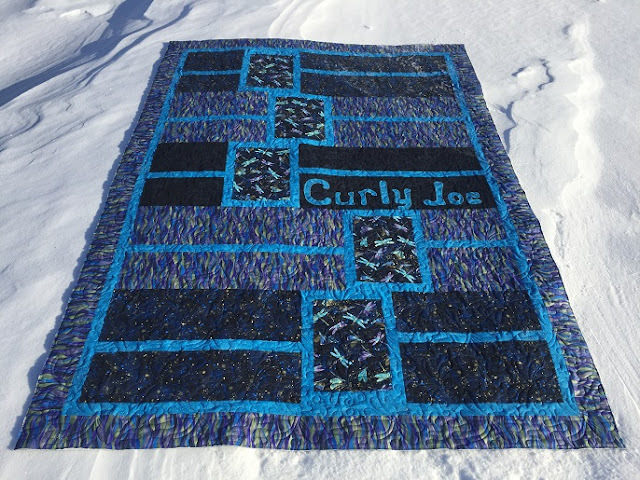 The batting is Quilters Dream Blend.